Home / Campaigns / Bobbies on the Beat! Devastating Government cuts to our police have resulted in a loss of almost 20,000 officers nationally since 2010. It's no wonder hundreds of Mitcham residents turned out to Siobhain's community meeting about the problems of antisocial behaviour and street drinking in Mitcham Town Centre. Siobhain shares the frustration of many residents that this longstanding problem has not been resolved and thinks that it is extremely important that it is urgently tackled. The police who attended the community meeting were staggered at the turnout and London's Deputy Mayor for Policing described it as one of the largest public meetings that she has seen. - All of the CCTV cameras have been checked and are working, with all of the trees and bushes that could have prevented them from operating effectively now cut back. - Merton Council's contractors 'Kingdom' are now issuing penalty charge notices to street drinkers. - Betfred have introduced a temporary security guard. Though all of the above is progress, we all know that we need more police on our streets. Siobhain believes that more visible policing is needed in Mitcham to reduce the level of crime and to make the community feel safer. Mitcham Town Centre is now covered in posters calling for more Bobbies on the Beat. If you would like a poster to join the campaign, please email mcdonaghs@parliament.uk. All too often disgraceful antisocial behaviour goes unchecked. It goes unchecked because it is not “serious crime”. It goes unchecked because the local police teams simply do not have the resources to follow up every last incident of vandalism or drunken hooliganism. It goes unchecked because we no longer have the Bobbies on the beat to confront it. But when a drunken altercation led to the tragic murder of a young man in Mitcham last year it served as a poignant, painful reminder that the gulf between antisocial behaviour and serious crime is not as large as we often allow ourselves to believe. The simple truth is this: there is no substitute for a visible police presence in the community. Mitcham needs more Bobbies on the beat. The rise in antisocial behaviour that we have seen in so many of our communities is the regrettable, but inevitable, consequence of more than eight years of indiscriminate cuts and biting austerity at the hands of successive Conservative-led Governments. In real terms, central government funding for police commissioners has decreased by 30% since 2010. We have lost roughly 20,000 police officers in that time, 14% of the workforce. 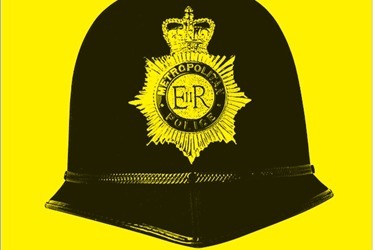 Retention rates have plummeted because our police don’t feel valued - and how could they when year after year they are being asked to take on more work with less support, fewer resources, and – in real terms – lower wages? The Conservative Party has always taken great pride in its image as a party that would put the police first, come down hard on crime, and keep the men and women of Britain safe. Whatever happened to the party of law and order?